Regular homework will be assigned nightly. Please check your child's Assignment Book on a regular basis. It is his/her responsibility to copy the homework assignment from the board. 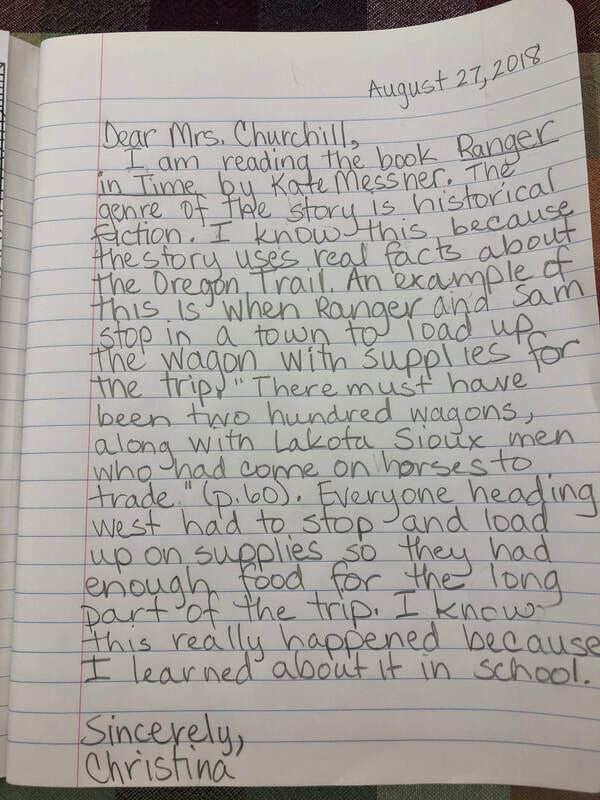 Here is a sample of the Reading Notebook letter that we did together in class.